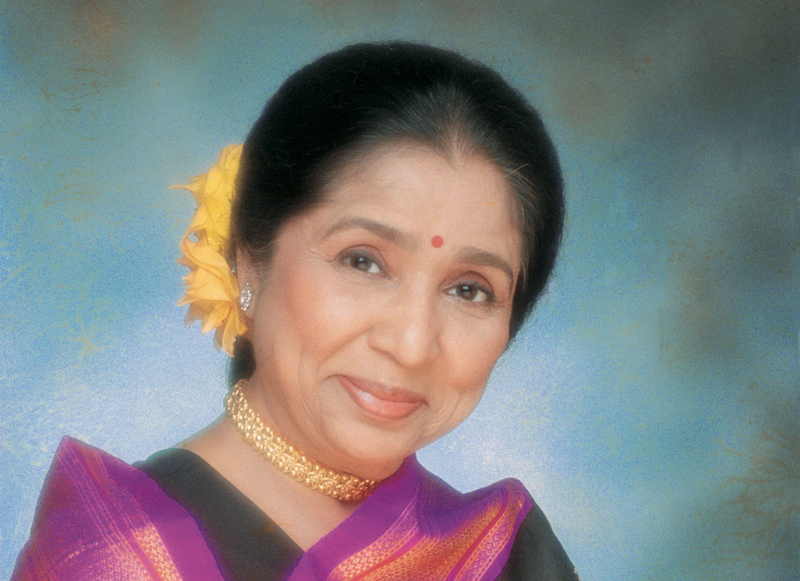 Asha Bhosle was born 8 September 1933, the third of 5 children of the celebrated traditional theatre actor and classical singer Pandit Dinanath Mangeshkar and his wife Dinanath. Asha’s journey as a professional musician began in 1944, when at the age of 11 she sang “Chala Chala Navabaala” for the Marathi film “Majha Baal”. Asha went on to have a phenomenally successful career, providing the on-screen singing voice for generations of actresses unable to capture and deliver a song as brilliantly as she could – singing around 20,000 tunes in 14 languages. She’s recorded with western artists including Boy George, Robbie Williams, Michael Stipe and the Kronos Quartet, and lent her name to Cornershop’s Brimful of Asha, one of the landmark No 1 hits of the 1990s. Asha is the world record holder for recording the world’s largest number of songs. Plaudits include 9 Filmfare (Indian equivalent of the Oscar) awards, 2 national awards from the Indian Government, doctorates from the Universities of Jalgaon and Amravati, 14 Maharashtra State Government awards, and the 1997 and 2001 MTV Viewers Choice award. She is the only Indian singer to have been nominated for a Grammy award, for her 1996 release Legacy. Still recording and touring today, Asha is also a successful restauranteur and runs restaurants in Dubai and Kuwait, called Asha’s. The restaurant chain has recently expanded to the UK, opening in Birmingham and Manchester.